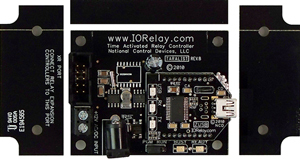 The TLR110_WEB-i knows what time and day it is and will control relays according to your time schedule. Ethernet Time Relay connects directly to a router to upload your time schedule to the board using Base Station (a free download) over your network. Once the schedule is uploaded, the computer is no longer needed and the board will operate on it's own! The board can be disconnected from the network or left connected for schedule changes or overriding the schedule. The computer is needed to set your time schedule and upload it to the board but if you need to override the schedule frequently this is the best option using any device with a browser! The TLR110_WEB-i can store up to one thousand events! 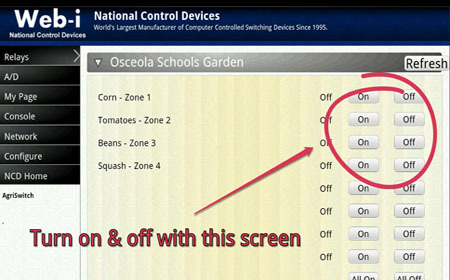 If your current time schedule software only allows you a limited amount of events for school bells and shift changes, you will have more than enough with this controller! - Easily Override Time Settings! 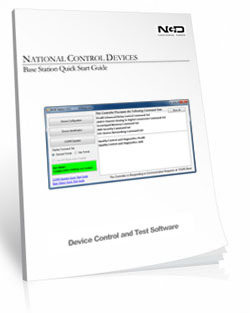 The time schedule must be configured using a computer using included Base Station Software (a free download). Once configured, the board and time schedule will operate without a computer. 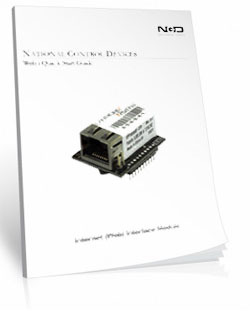 By choosing a Web-i version you will connect the controller to your router or hub with a standard CAT-5 cable. At any time, a computer may monitor the board, control relays, or change the time schedule settings through Base Station. A computer can take over the board as long as it remains connected to the controller or the board can operate without a computer. 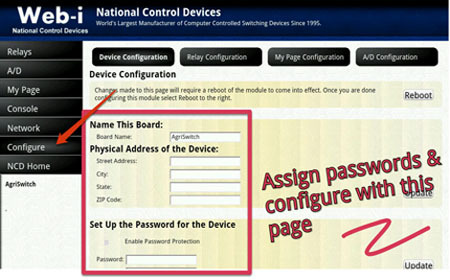 The board can also be accessed by any device with a browser through it's built-in web pages. Time schedule configurations will still need to be done through Base Station, with the browser you can check the status of the relays and manually control the relays. At any time, a computer may monitor the Taralist Controller with Base Station or any device with a browser to read the status of the relays or activate relays. 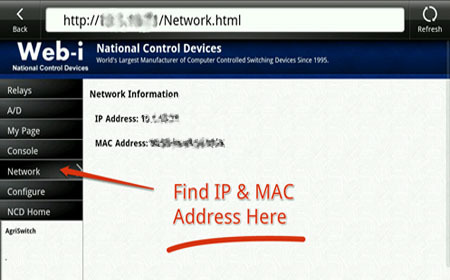 This Web-i version will allow access to the board from anywhere on the network or internet. 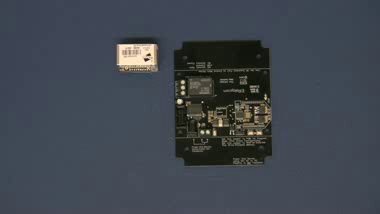 This board is equipped with a Web-i Module. The Module has custom pages will allow you to control the relays such as simple on/off commands or complex timing commands. The Web-i communications module also adds an Ethernet interface to the board and will connect to a your router with a standard CAT-5 cable (a Wi-Fi adapter is available - see below). The Web-i module will be powered by the board which will require 12 volts of power that can be hard wired or you can purchase a "wall wart" type transformer at checkout. For more information view our Web-i Video. Control relays from your local internet only when you are connected to your local area network or control from the internet from anywhere outside your network. Once your router is properly configured for port forwarding, users may access the web pages built into the Web-i interface from anywhere in the world just like it were a normal web site. 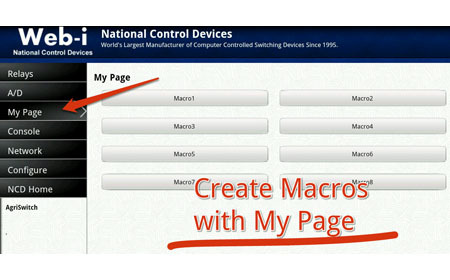 Simply use the Web-i web pages to monitor and control your electronics or customize the pages for your own needs. Please Note: the time schedule MUST be uploaded using Base Station Software and a computer and cannot be uploaded using a browser. Base Station Software is used to configure and upload the time schedules to the Time Activared Board. The Taralist series have an integrated battery backed Real Time Clock with memory that allows users to control relays based on a time schedule. Use your computer to setup the time schedule and store your schedule into the board. Once stored, the Taralist does not require a computer, and will control the relay according to a schedule that can be as simple or as complex as your application requires. 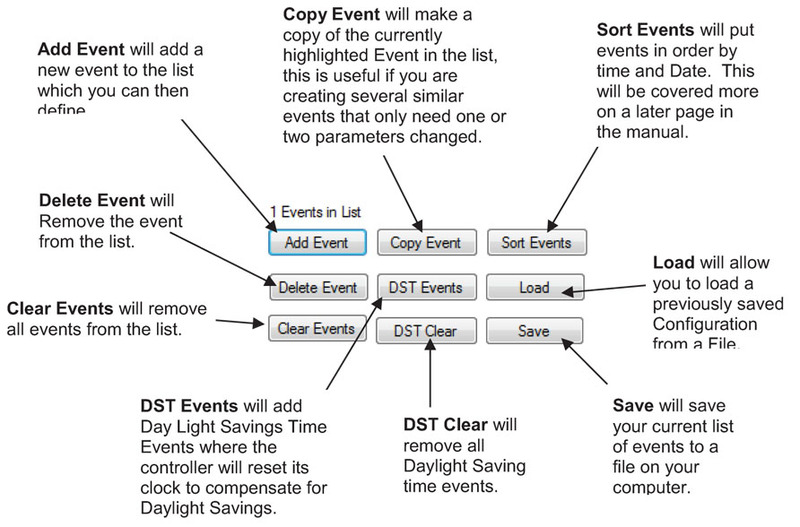 Events are scheduled times when a relay or group of relays are turned on or off. They are defined by the user first by time: Year, Month, Day of Month, Day of week, Hour, Minute, and Second. You have the ability of switching relays on or off at very specific times! Activate relays only when the day is Monday, activate relays when the day is Monday and the Year is 2020, activate relays when the day is Monday, the year is 2020 at 9:44:21 AM. They are also defined by how they control the relays, whether they turn a relay or group of relays on or off. You can add up to 1000 Events to the list. Override functions are also supported. So if the normal schedule activates a light during weekdays, but you don't want the light to come on during holidays, simply program your holiday schedule to prevent the light from activating according to your normal schedule. Daylight Savings Time is also supported, and is FULLY CUSTOMIZEABLE. As we all know, DST laws change periodically, but the Taralist series allow you to change the year and date of all DST events (we have programmed the US dates until 2030). Taralist controllers allow you to build and save your time schedule as a file on your computer. Different schedules can be configured for different times of the year, for instance one for Summer School and one for the full school year. Upload the schedule you need for that part of the year. 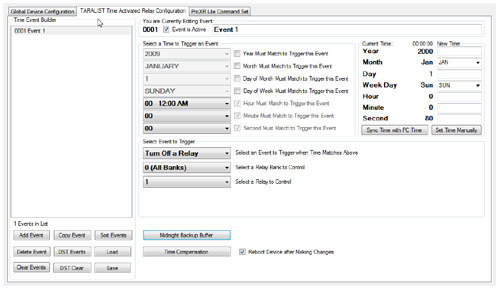 For users with multiple boards saved schedules can also be used to store the time schedule into each controller easily without re configuring. Using Base Station you can set the time manually or you can sync the time with your PC. 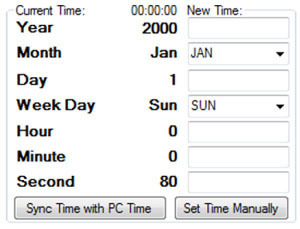 The user can do this by simply clicking the Sync Time with PC Time button or by filling in the Year, Month, Day, Week Day, Hour, Minute, Second parameters and then clicking the Set Time Manually button. Like most clocks, time drift is a reality and the Taralist controller will drift over time. The Taralist clock has some special features to help keep the time accurate. Time compensation functions are included that allow you to automatically adjust the clock forward or back (by up to 15 seconds) each day of the week. For instance, you may find the Taralist keeps better time if it automatically advances the clock 1 second each day of the week. Or you may find that you need to subtract 5 seconds from the clock 1 day per week. Adjustable time compensation will help keep your clock accurate (though it is always a good idea to check on the clock periodically). 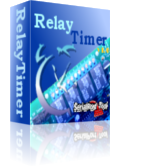 If your application requires your relay control to match a computer's time exactly we recommend using a computer controlled Relay and Relay Timer Software. The software can be installed on a computer or server and match the time exactly. We recommend this for school bells and shift change applications where matching a time clock is vital. Select a Wired or Wireless Relay under Relay Control from the top menu to select a board then add the Relay Timer Software at checkout. The Time Relay series controllers have some amazing abilities when it comes to making decisions on their own based on the events you configure into them, but you can take control of the relays at any time from a computer as long as communications are established between your computer and the Time Relay device. The interface elements shown at right allow a computer to take over control of any relay and force the relays to a On or Off state. You may also turn all relays on or off using the all relays on and all relays off buttons. 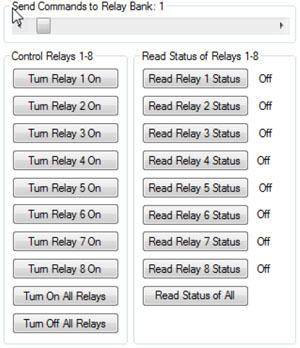 You can also read the status of relays by clicking the Read Relay 1-8 Status. The Status of the relay will be shown to the right of the button. The slider at the top of the screen allows you to select with bank of relays these commands are directed to. You may attach up to 32 banks or 256 Relays. The Midnight Backup Buffer is a special feature developed to help keep track of which relays should be activated in the event power is lost. 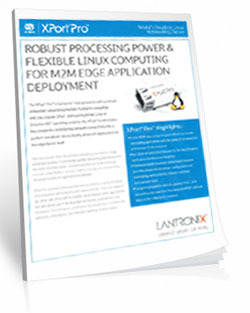 Every night at midnight, the current status of all relays is stored in non-volatile memory. If power is lost, the Taralist will load the status of the relays from memory. Next, the Taralist will calculate all events from midnight to the current time to determine if any relays need to be activated or deactivated. Finally, the Taralist will refresh all relays and will be ready for normal operation. We've looked at the interface and the configuration now let's take a look at the board design itself. The Taralist series controllers are machine manufactured for a highly accurate and reliable design. Fully tested before they leave the production facility each Taralist controller is ready to stand up to rigorous demands from heat, cold or vibration. The best test of all is the numerous boards in the field from customers all over the world in all sorts of conditions. Take it from us, these controllers will hold up! The Taralist relays have a great feature where space is a premium - Break-A-Way Tabs. The Break-A-Way Tabs allow most boards to fit in an optional undrilled plastic enclosure. Snap off the Break-A-Way Tabs and you have a controller with a smaller profile when you need to fit in a tight space. 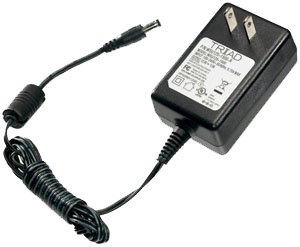 The Taralist series controllers are expandable up to 256 total relays. The controller is fitted with an XR Expansion Port where you can add expansion boards to this relay. Expansion boards can be added until you reach 256 total relays. The Expansion Boards get their logic from the main board and will require 12 VDC power. 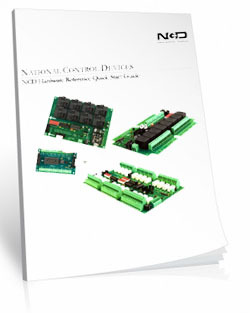 Expansion boards do not need to be the same relay amperage as the main board or other expansion boards. 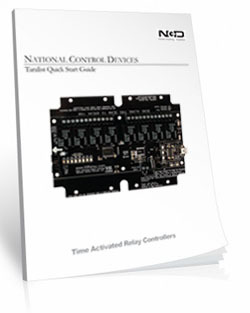 Taralist series controllers are guaranteed against manufacturing and functionality defects for a full 30 days! Not to mention a 30-day money back guarantee! If for any reason you are not happy with a relay purchased from Relay Pros, simply return it within 30 days and we will give you your money back! Controllers that are damaged by our customers will not of course be warranted under any circumstances. 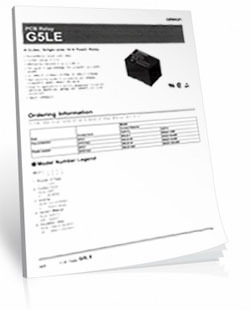 The GFL Enclosure is an undrilled, non-waterproof enclosure and is available at checkout for this controller.